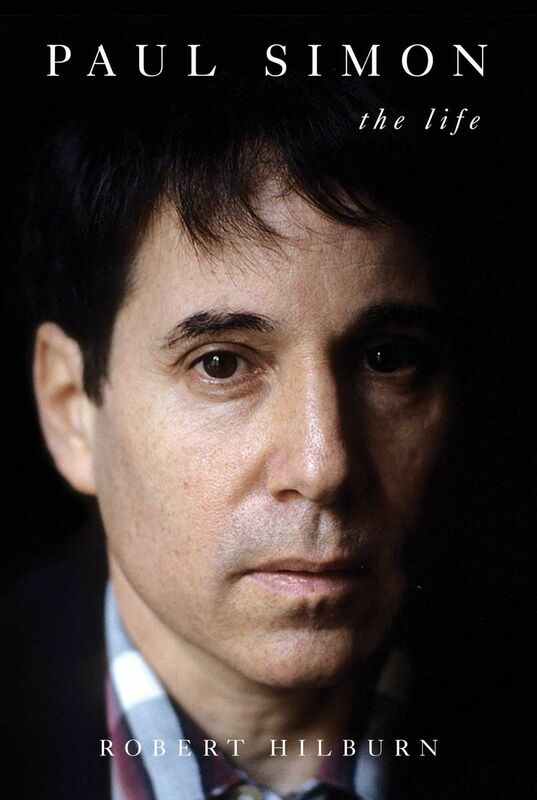 While Paul Simon may be considered a top-flight artist, his personal life isn’t quite as circumspect. Paul Simon, who recently announced his retirement (his farewell tour hits Seattle May 18), is a top-flight artist but not a particularly sympathetic figure. Be that as it may, biographer Robert Hilburn, who did a great job with his 2013 Johnny Cash bio, really makes you want to know what makes this coolly calculating, controlling and ambitious 76-year-old singer-songwriter tick. Hilburn accomplishes this in part by focusing on the work as well as the man — song lyrics are quoted in full, with helpful explications — building a strong case for the composer of such classics as “Mrs. Robinson,” “Graceland,” “Bridge Over Troubled Water” and “The Sound of Silence” as a peer of Stephen Foster, Irving Berlin and Bob Dylan. Not since Caetano Veloso’s and Dylan’s autobiographies has there been such a detailed discussion of the layered poetic process that lies behind a great song. Hilburn also offers plenty of juicy stories, including a disastrous studio date with a drunken John Lennon; a hippie-esque decision by Garfunkel to hitchhike to a crucial show; tales of Simon’s serial experiments with the South American psychedelic ayahuasca; and an embezzlement episode that eerily echoes Leonard Cohen. For those who parted ways with Simon over “Graceland,” believing he exploited African culture while ignoring a widely observed boycott of South Africa, Hilburn also makes abundantly clear that whichever side you take (Hilburn remains objective), “Graceland” was very much in keeping with an M.O. Simon adopted from the beginning of his career. Even when he and Queens grade-school neighbor Art Garfunkel had a hit with their teen act, Tom & Jerry, Simon was at heart a producer, always on the lookout for great talent and material, wherever he was. And while Simon cut his teeth in British folk clubs, despite the big guitar and pretty voice he was never really a “folk singer” — Greenwich Village folkies rightly treated him as an interloper — but rather a mellow pop artist with big ears. For music, that is. His tone deafness for the feelings of others is another matter, starting with the first breakup with Garfunkel, which, Hilburn explains, came about because Simon went into the studio as a solo act when they were kids — without telling his partner. Hilburn traces the duo’s rocky road of breakups and reunions without taking sides, though he shows that Simon’s versatility probably made the split inevitable. As for Simon’s also precipitous marriages — first to his manager’s ex-wife, Peggy Harper; then, briefly, to Carrie Fisher; then to his current wife, Edie Brickell — Simon is less forthcoming than he is about his music, but Hilburn’s keen portrayal of a man who has even described himself as often critical, selfish and career-obsessed makes it clear why it took him three tries to get it right. Hilburn traces Simon’s perfectionist bent — as well as his musical talent and early fluency with the music business — to his father, a professional bassist slow to praise his son, an emotional lacunae that, along with Simon’s 5-foot-6-inch stature, probably helped create a character who had something to prove. Hilburn opens with a story about Simon stealing home in a high-school baseball game, a repeated image that suggests both the daring artistic bravado and personal opportunism that seem to sum Simon up, not to mention the all-Americanness of a success story that begins with doo-wop in Queens and leads to a ceremonial first pitch at Yankee Stadium. Hard not to root for a guy like that.